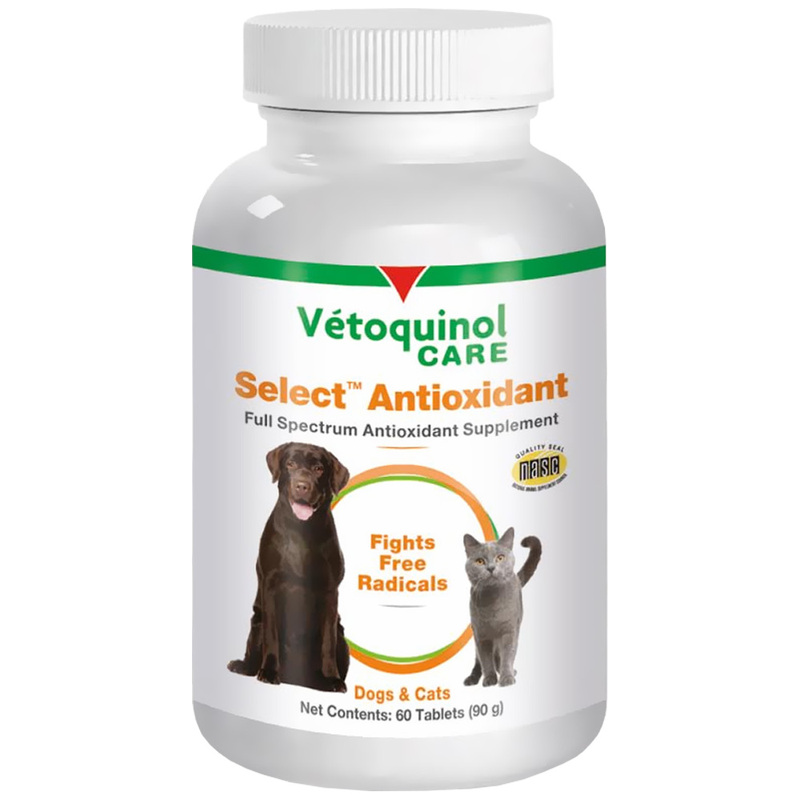 Vetoquinol Select Antioxidant Tablets Dog & Cat Supplement is a blend of vitamins, minerals, enzymes, amino acids, and folic acid that was designed to give your furry friend a longer and healthier life. 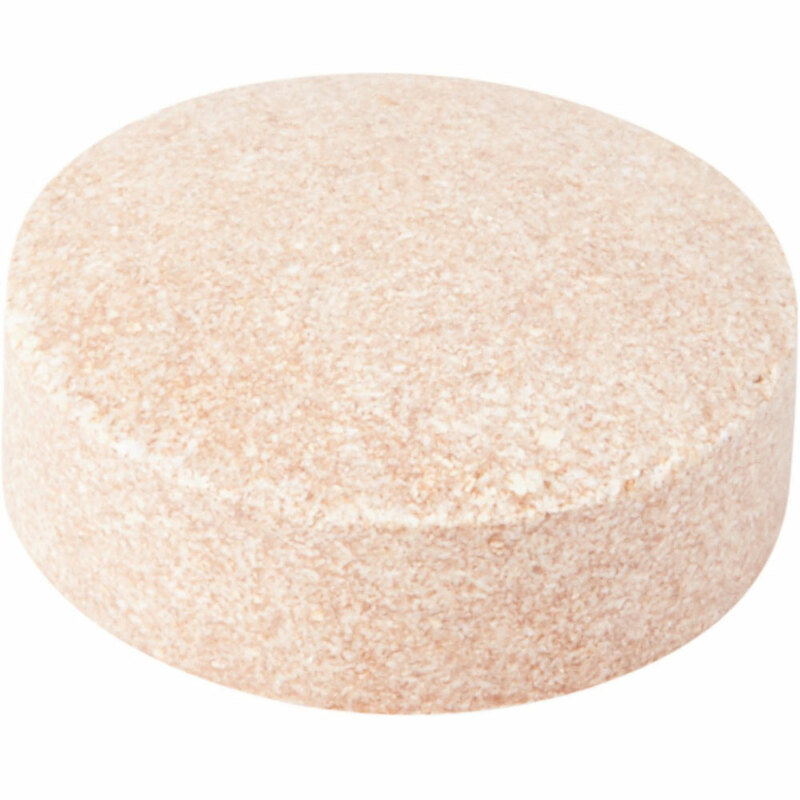 Years of thorough research have culminated in this ultimate nutritional solution for your pet. The "ultimate" in pet nutrition! 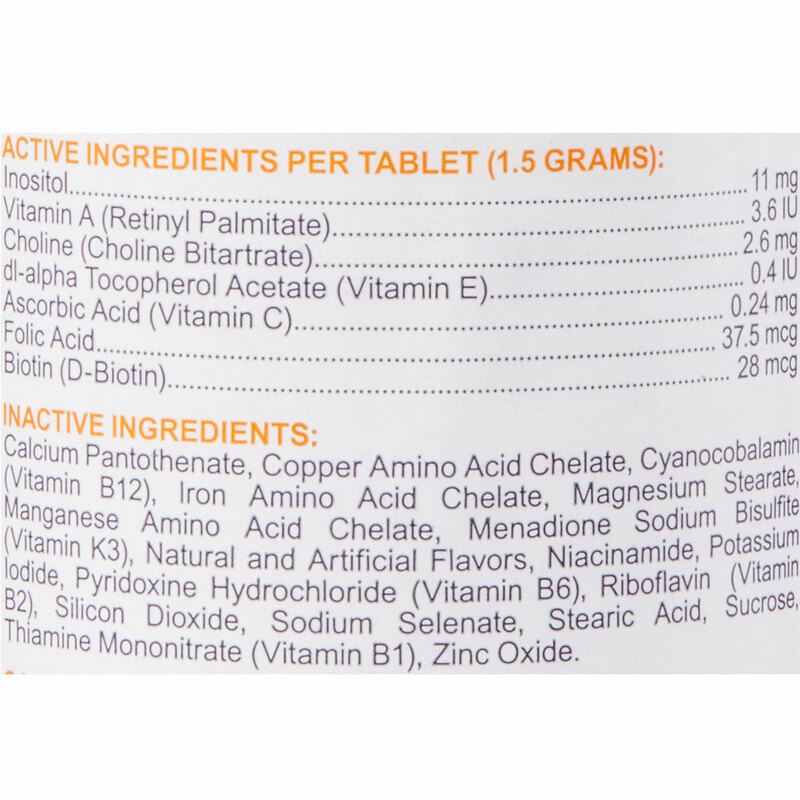 It contains many vitamins, minerals, enzymes, amino acids, and essential fatty acids needed by your pets for optimal health. In addition, it contains a powerful blend of 74 antioxidants working "synergistically" to protect our pets from "life-robbing" free radicals. 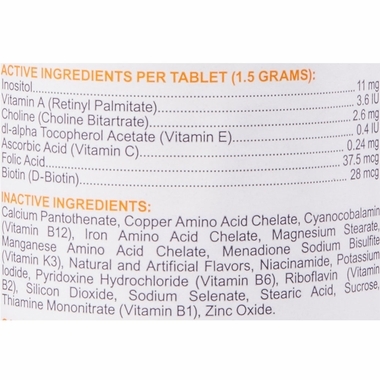 Developed by a "dream team" of nutritional scientists and product formulators. Clinically tested and proven results! Highly palatable chewable tablet. 100% natural! 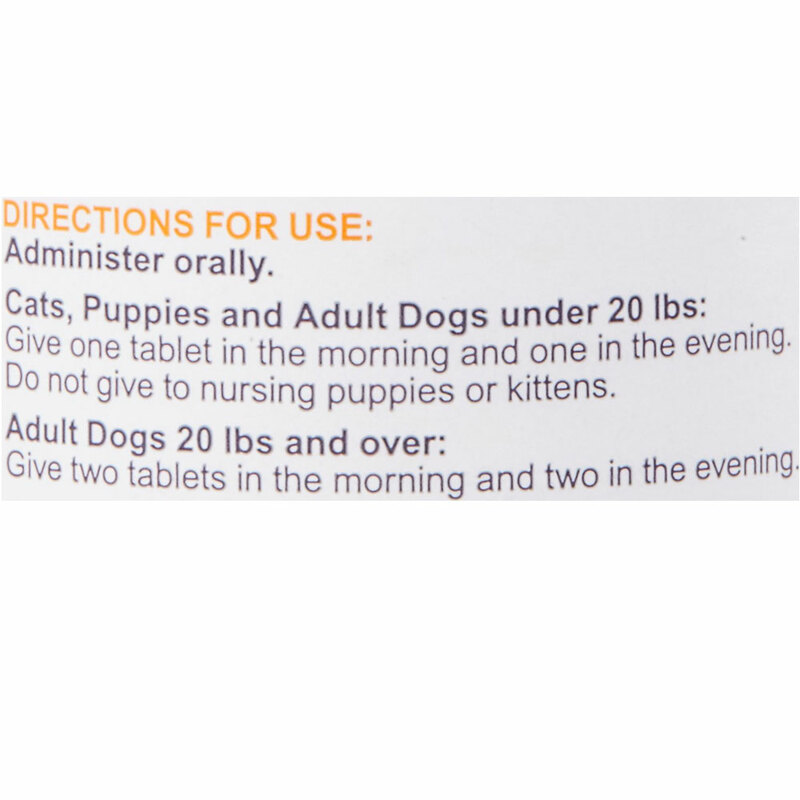 Great for dogs and cats. 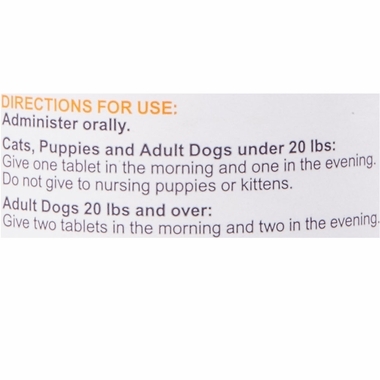 Our dog's vet recommended this antioxidant a few years ago and we've been happy with the price and availability of it from Healthy Pets. There used to be a larger size and I wish that was still available, but overall I would recommend.